Asian traditions: use the easiest way to learn more about them on AsianDate blog. Asian traditions date back thousands of years, and are still valued and upheld by the local people today, especially women in the dating world. To enter the life of an Asian woman, you can show your dedication by learning about her traditions. Traditions in Asia can vary greatly; that is what is so unique about this blog. Which Asian traditions are your favorite? 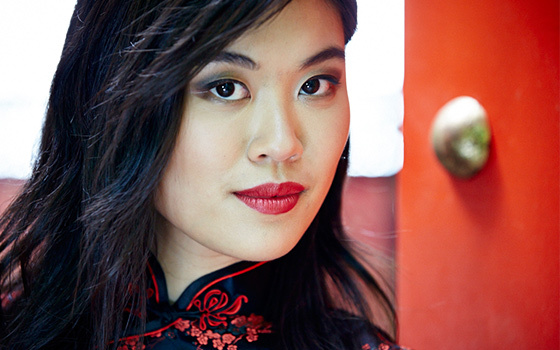 Which traditions are your Asian woman’s favorite? Finding out which Asian traditions belong to which parts of the continent brings you even closer to unlocking the magical beautiful possibilities Asia has to offer. Take the time to learn everything you can about traditions in Asian culture, and you will benefit in many ways, including impressing your favorite lady! Think of this blog as your entrance way to discovering Asia and everything (and everyone) it has to offer. Whenever you go to a different country, it’s always a good idea to do a bit of research about customs and traditions that will welcome you there. For most travellers, the common notion is this: if you’re already familiar with universal traditions, you will be good to go. For example, everyone knows that saying “thank you” is polite, universally. If you’re travelling to China, saying “thank you” is considered polite too, despite the language and cultural difference. However, most travellers don’t really take into account the fact that there are some strange Chinese traditions they have to wrap their head around before going to China. Do not leave them upright in a bowl because this is similar to a Chinese ritual for an offering to the deceased. Also, don’t use your chopsticks to make a gesture, like pointing at someone. It is downright rude. When you’re having tea with a Chinese person, don’t be surprised when they always refill your tea for you. To show that you appreciate the gesture, you must tap your fingers on the table while or after the tea is poured into your cup. When you go to someone’s house, it’s always a nice gesture to bring something. Don’t be offended, though, if your gift is refused. In China, it is a tradition for a gift to be refused several times before the receiver accepts it. It is similar with compliments. If you give someone a compliment, they are not going to say thank you right away. They are going to deny your praises several times before accepting it. Back home, we bet you’re used to tipping. In China, it is different because you only have to pay for the meal you’ve eaten. Tipping is not common in restaurants, but it is when you go on tours or when you are at a hotel. Now, do you believe us when we say that you have to do your research before going to a certain country? Make sure that you remember all of these Chinese traditions. We have more posts about the Asian culture on the blog so you can check those out after reading this post. When you think about a red string, you don’t really connect it to love. But, according to an ancient Chinese legend, a red string has everything to do with you finding your soulmate. The legend says that when you were born, a red string was tied around your little finger. The other end of it was tied on the little finger of the one that was destined for you. Commonly, this red string is called the red string of fate. It’s not a figurative expression that describes falling in love. Based on the legend, it is an actual string, but only, it is invisible. No matter where your soulmate is, the string cannot be broken. It does get jumbled and tangled up, which is why it, sometimes, takes a while for us to find our true love. But, eventually, the ends of the string will meet or cross paths. Who Ties The Ends Of The Strings? Legend has it that someone named “The Old Man Under The Moon” or Yue Lao is responsible for tying the ends of the strings. In the Chinese mythology, he is the god of marriage and love. He shows himself at night, working on connecting two people he has chosen to be together. He is also referred to as the god of matchmaking. How Did This MatchMaking Belief Come To Be? Back in the times of Tang Dynasty, a young man by the name of Wei Gu was passing by the city of Songcheng. He saw an old man reading a book in the moonlight. He was so amazed at the sight that he walked up to the old man and asked about what he is doing. The old man answered that he was reading the book of marriage – a book that has the names of couples who are destined to be together. They both went to the marketplace, and the old man demonstrated the power of the book of marriage. An old woman carrying a three-year-old child was walking by. The old man told Wei Gu that the young child will be his wife in the future. Of course, it sounded very strange so what Wei Gu did next was, for him, a way to counteract what the old man said – he had his servant stab the girl with a knife. After about fourteen years, Wang Tai, the governor of Xiangzhou, gave Wei Gu his daughter in marriage. The governor was having trouble finding a suitable match for her because she had a large scar on her back. Wei Gu later found out that the scar was because she was stabbed in the marketplace approximately fourteen years ago. Like most legends, there is no evidence that this event happened, but it’s worth knowing to understand the culture this red string of fate came from. Now that you know it, you’ll have a great ice-breaker to talk about with Asian women you are going to meet as you date online. For more interesting stories about the Asian culture and other AsianDate posts, check out more from our blog. Also, visit AsianDate if you want to meet lovely ladies from Asia. New Year has already passed, but in Asia, there are still certain countries that are waiting for their New Year to arrive. Yes, it’s what you are thinking. Some countries in Asia, like China, typically celebrate two New Years – one on Jan 1st and the other coming (this year) on January 28th. How is this so? Focusing on China, the Chinese New Year has been celebrated since ancient times. In the past, it was celebrated to please different deities. Today, the celebration becomes a mark of the turning of the traditional lunisolar Chinese calendar or Lunar Calendar. That’s why the Chinese New Year is sometimes referred to as the Lunar New Year. What’s interesting is, next year, the Chinese New Year will be celebrated on a different day. When the next New Year arrives depends entirely on the lunar calendar. 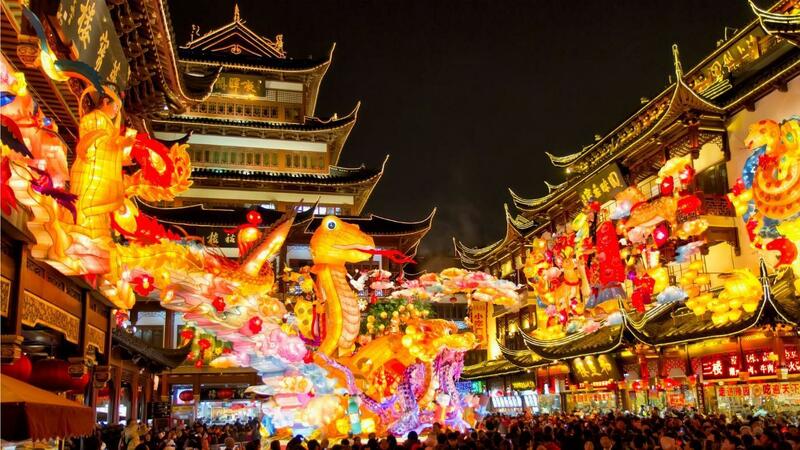 Each Asian country has their own way of celebrating the Chinese New Year, but most of the time, the celebration will include firecrackers, traditional lion and dragon dances, night markets, and parades. In China, the Chinese New Year is a chance for families to get together. The women in the family work hard to cook traditional Chinese food and clean the house of “bad luck” before the New Year. Other members of the family would prepare the different red-colored decorations for the house. All of the adults in the family would, then, give out red envelopes with “lucky money” in it to give to the little children. This symbolises that they are imparting good luck and good fortune to the young ones. In the Chinese culture, whichever date the New Year falls on has a corresponding animal, colour and element symbol. For example, this year is going to be the year of the red fire rooster/chicken. This is important because it will determine how one’s life, love and business is going to be next year. These are all based on Chinese Astrology. The Chinese will have to prepare items of luck and perform specific traditions based on what year it is. Would you like to see how the Chinese New Year is celebrated in China for yourself? It’s going to be one of the biggest celebrations of the year. You can still plan a visit if you’re interested, or, better yet, you can learn more about the Chinese New Year from Asian Date ladies. Don’t forget to check out more of our posts on our blog.